Californians for GE-Free Agriculture is a statewide coalition of organic and sustainable agriculture and food safety organizations committed to ecologically responsible and economically viable agriculture. Californians for GE-Free Agriculture provides education and resources in support of the rights of farmers and communities to evaluate and address the environmental, human health and economic risks of genetic engineering in agriculture. Collaboration with California rice producers to prevent the introduction of a drug-producing pharmaceutical rice variety that could have contaminated the food supply and threatened valuable rice export markets. Support of eight attempts to pass county-level bans or moratoriums on the production of genetically engineered crops. Four were successful (Mendocino, Trinity, Marin and Santa Cruz). Defeat of a state preemption that would have overturned the county bans. Passage of the first California state law to regulate genetically engineered crops (AB 541), authored by then Assemblymember Jared Huffman. AB 541 protects farmers from being sued by biotechnology companies holding patents on genetically engineered crops farmers’ crops are inadvertently contaminated, and it establishes a mandatory crop sampling protocol to notify farmers when biotechnology companies investigate alleged patent or contract violations. The coalition members of Californians for GE-Free Agriculture continue to provide resources and information on the state of genetic engineering, actions to take to resist the technology, and alternatives that ensure the long-term sustainability of California agriculture. For more information, please contact any of the following organizations. 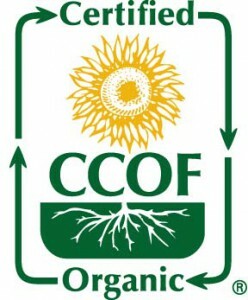 California Certified Organic Farmers (CCOF) — CCOF is California’s third party organic farming certifier, and also offers programs to increase awareness of and demand for certified organic products and to expand public support for organic agriculture. Center for Environmental Health — protects the public from environmental and consumer health hazards. We are committed to environmental justice, reducing the use of toxic chemicals, supporting communities in their quest for a safer environment, and corporate accountability. We change corporate behavior through education, litigation, and advocacy. The Center for Food Safety — works to protect human health and the environment by curbing the proliferation of harmful food production technologies and by promoting organic and other forms of sustainable agriculture. CFS engages in legal, scientific and grassroots initiatives to guide national and international policymaking on critical food safety issues. 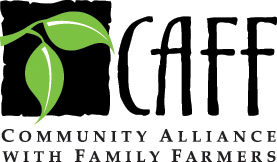 Community Alliance with Family Farmers — (CAFF). CAFF’s political and educational campaigns are building a movement of rural and urban people that fosters family-scale agriculture that cares for the land, sustains local economies, and promotes social justice. Ecological Farming Association (EFA) — EFA is an educational organization that promotes ecologically sound agriculture, and hosts the annual EcoFarm conference, the country’s largest ecological farming conference. Occidental Arts and Ecology Center (OAEC) — OAEC is an 80-acre organic farm and educational center in Sonoma County. OAEC works in support of ecological agriculture, watershed restoration, food crop and wildlands biodiversity, and grassroots democracy.